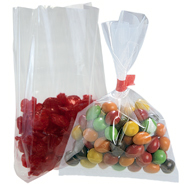 4.75 x 6.5 Lip N Tape Bag are great for storing and presenting various items such as sandwiches, candy, literature, and can also be used as archival bags for artwork. The clear polypropylene envelopes also aid in the organization of crafts or scrapbooking materials. The lip-n-tape bags have adhesive on a 1.5" fold over lip that enables resealing after the bag is opened. These bags are convenient and versatile while providing gloss and stiffness for excellent presentation with its 1.6 mil PP (polypropylene) material. 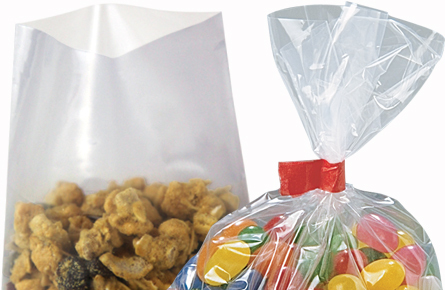 Our resealable polypropylene bags meet FDA and USDA specifications. Food Contact: 1.6 mil polypropylene is suitable for most applications involving direct contact with foodstuffs. Meet FDA and USDA specifications.